B.K. 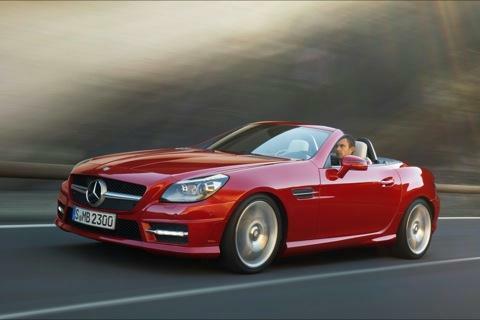 (before kids), I dreamed of owning a fire-engine red 2- seater convertible Mercedes sportscar. I can see myself speeding down the highway with my wife Rose without a care in the world (hey – this guy in the picture below even looks a bit like me!). Oops – I just woke up! I came close to achieving this cool sportscar goal when I was 29 years old (before our 3 kids showed up on the scene) and owned a candy apple red small BMW 318i. I enjoyed the color and style of a eye-popping car (within my more limited budget than the 2-seater Mercedes) before setting into my practical “SUV” life. Now, I have room to cart the kids around and boxes for work. You may be asking, “Mike, what does fire-engine red 2-seater Mercedes and cool cars have to do with inspirational showers?” Well – I’ll tell you. The longer I go in life (Rose and I are actually getting closer to being “empty nesters” in a few years) I realize life should be lived out loud. Life should be inspirational and aspirational. It needs to be enjoyed – whether we’re taking a fun trip with friends and family, riding in an over-the-top sports car, or getting a cool shower which we absolutely love (without giving a hoot about resale). 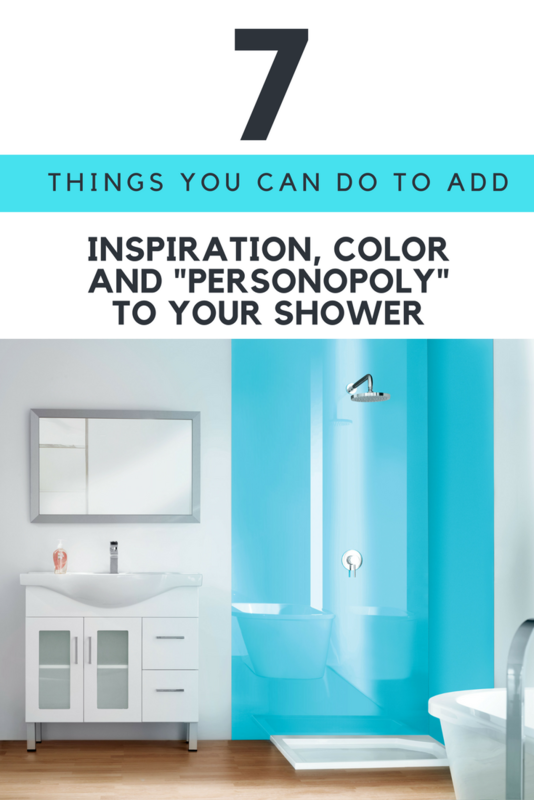 In this article I’m going to outline 7 ideas to add inspiration – through color – into your shower design. You’ll not only be able to show your “personopoly” – you’ll enjoy a vibrant shower which is all about you. At the end let me know which of these bold ideas you’re all over – and if any of them are “too out there” for you.